The number one skincare rule? ALWAYS wear sunscreen. We all know it. However, so many of us rely on just the SPF in our foundations and moisturizers to protect our skin. But listen up ladies, a tinted moisturizer or foundation with SPF 20 ain’t gonna cut it! The solution? Wearing sunscreen as a base under your makeup. Keep on reading to learn the right way to wear sunscreen with your makeup! There are a few key things to look for when picking a sunscreen. First, always look for a sunscreen with both UVA (aging) and UVB (burning) protection (and with at least 40+ SPF). I always recommend a mineral sunscreen for your face because they are less likely to irritate your skin or cause an allergic reaction. 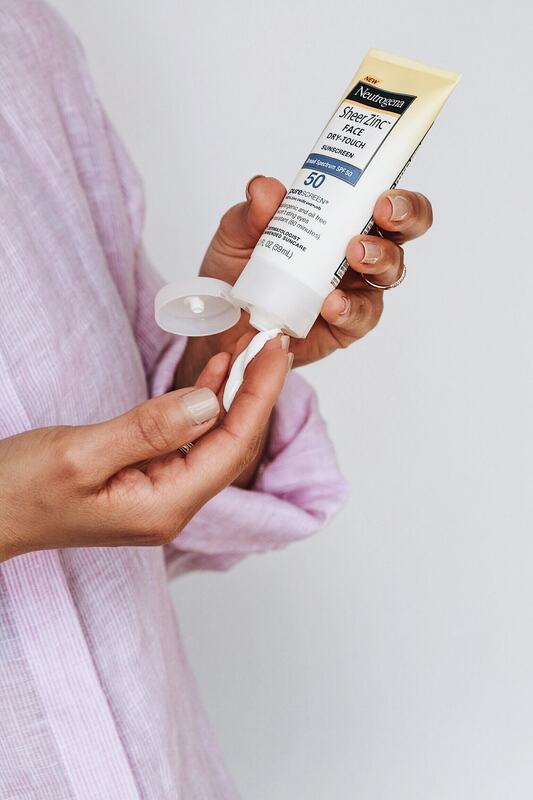 Always go for a sunscreen with at least 20% Zinc Oxide, a mineral that sits on top of the skin and forms a physical barrier against the sun’s harmful rays! My pick for an affordable option with Zinc and UVA/UVB protection? 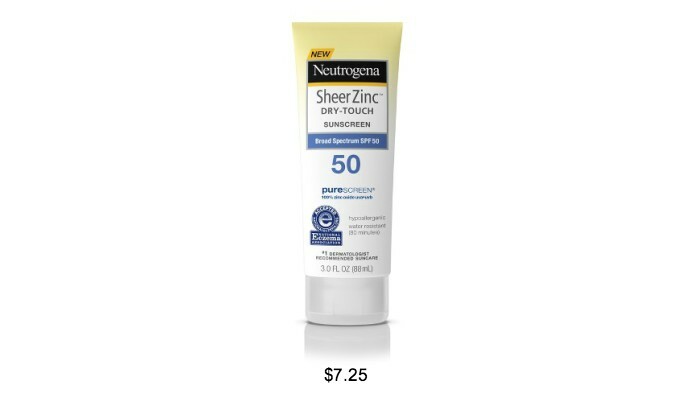 The Neutrogena Sheer Zinc Dry-Touch Sunscreen. It made this year’s Allure Best of Beauty list, so you know its a good one! Even though mineral sunscreens have a reputation for feeling heavy and leaving a chalky appearance, I found that this one is surprisingly lightweight and dries matte. Plus, it’s available on Amazon for like $7 bucks, so there’s no excuse for not wearing sunscreen! Just like any other skincare product, it’s always best to start with clean skin for best results. Moisturize as you normally would after cleansing your skin in the morning. 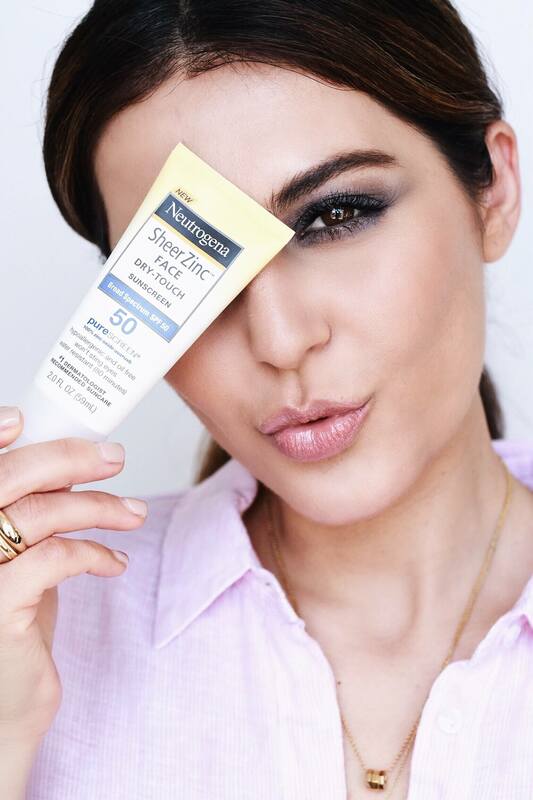 Apply a generous layer (about a teaspoon) of the Neutrogena Sheer Zinc Sunscreen to your face and neck (ps. don’t forget the eye area). 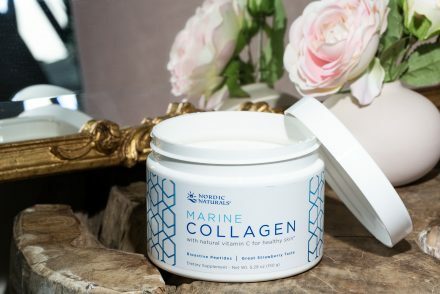 Massage this layer into the skin until it is fully absorbed. Always try and wait a few minutes before applying your foundation to allow your skin to absorb the sunscreen. Applying makeup right away could cause your makeup to slide around or crease, and we don’t want that! Once you feel the sunscreen has absorbed, continue with your foundation and concealer. When using sunscreen as a base for everyday makeup, I always recommend setting your face with a translucent powder which will help keep your makeup in place and get rid of any extra shine from your sunscreen. Bonus points for makeup with added SPF! How do you guys protect your skin from the sun!? Share your product recs in the comments below! Great post definitely a good thing especially since it’s starting to get warmer out!!! There’s a setting spray that also has SPF in it from Sephora I’m blanking on the name but I’ll use it periodically through the day and it freshens my face and keeps it safe :) ?☀️? Would you know if either were oily skin friendly? Hi babe, the SheerZinc Dry Touch Sunscreen is oil free and has a non-greasy finish perfect for oily skin types! I use the Aqua Rich Watery Essence from Bioré. Really nice !! Thanks Sona. I know that sunscreen is the last step in skinscare; however I struggle with if you are using a primer, do you put this on after the sunscreen. I have been doing it this way so please correct me if I’m wrong. By the way I have been using the Drunk Elephant sunscreen it only has a 30 spf without any problems. I just bought the tinted version so will see how it perform. Aww that makes me so happy babe! I’m so glad you’re loving it, the Clinique one works so well! I have definitely been guilty of skipping the sunscreen, especially when there’s spf in my foundation. But I’m going to really try to be better about it from now on!! You got this, I believe in you! Lol, love ya. I struggle with dark spots and noticed even more coming while I am getting older!!! I so regret not putting sunscreen when I was younger! All I cared was to be tan! I never leave the house now without any sunscreen protection!!! I remember U years ago mentioning Clarins and I have been using it since on! Every morning under my makeup I apply Skinmedica anti-aging sunscreen, recommended by my esthetician. Then if I’m going to the pool or beach and need to reapply I use Elta MD sunscreen, recommended by my dermatologist. I have oily, acne prone skin so they suggest these products are best for me. But they are both $$$! Ugh. I’m bad about not applying sunscreen on my face. I really need to pay more attention to that detail. Thanks for the great tips Sona!! You can’t go wrong with applying this everyday before stepping out of the house! I know it’s been a life saver for me! Glad you enjoyed this post love. Great tips thank you for all that you do. Thank you for being inspiring! Thanks for the great tips Sona! I’m ashamed to admit that I avoid sunscreen because it makes my face and skin super oily. I’m definitely going to give this a try and cross my fingers that it will do my skin justice. This one is oil-free babe! If there’s one thing I could tell my younger self, it would be to wear sunscreen all the time. Even if you think it’s cloudy, wear it anyway. 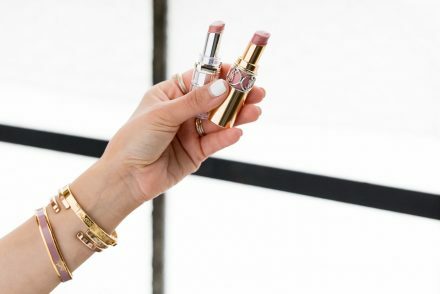 It’s one of my must-have beauty essentials. I do have very sensitive skin and looking for the right one is the most challenging thing in my beauty routine. But I’ve finally found the best one for me – Tatcha sunscreen. It only has 35 spf but it does not leave a white cast, does not break me out, and leaves my skin looking glowy, aaanndd, best under makeup! Great post Sona! I’ll try the neutrogena one since it’s affordable! Loving that you’re sponsored by Amazon now. 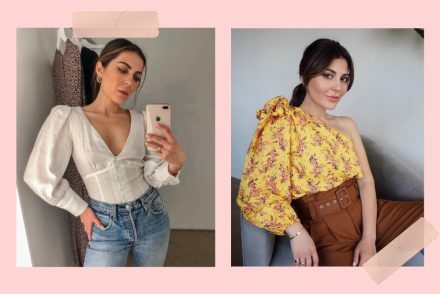 You should create a shopping page on Amazon, makes it super easy for us to shop your Amazon faves ✌?? Thank you so much for all your tips related to makeup or skin care, you are an amazing and wonderful person. Great tips! I never thought you could wear sun screen under makeup, i’d skip the makeup so I appreciate this! It took me forever to read this article because I couldn’t stop staring at your eye makeup in the featured image! 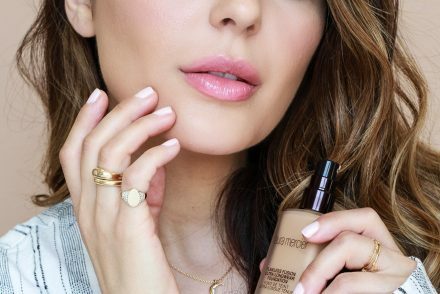 Sounds like a great SPF formula that I need to try out ASAP! I always wear sunscreen like literally always underneath my makeup.. even if I’m going out in the evening I try to put on some kind of sunscreen to protect my skin because the uva and uvb rays are always harmful..
I’m am huge on sunscreen and use a fantastic stick sunscreen by Beauty Counter. It makes applying so quick and easy and almost dries matte. You should check it out! I have one in my car, bag, kid’s bags, lol you name it. I vouch that it works so well with my makeup in the Texas heat!! We spent 5 hours at Six Flags in Tx humidity and my makeup no makeup look was still on point when I got in the car ?? Cool. I haven’t wore sunscreen yet, I rely on the foundations and my Maybellines BB cream as it contains 30spf. I’ll definitely buy it asap. I need this badly. 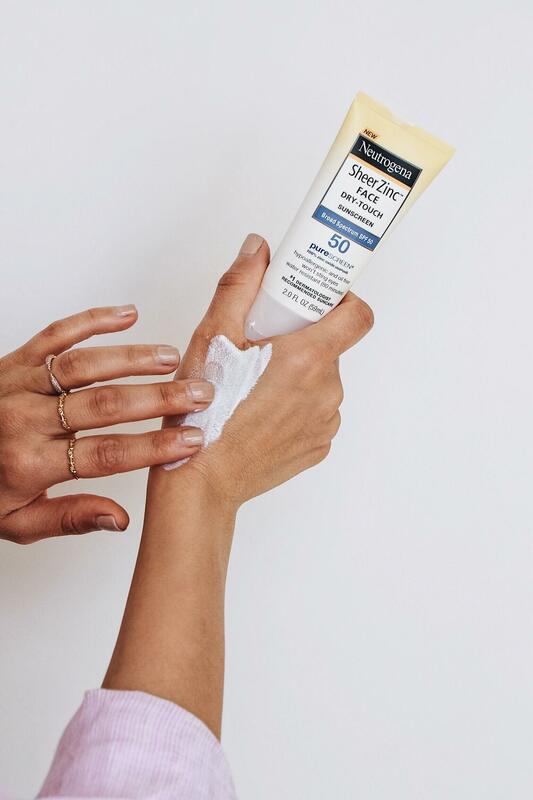 Sona do a blog post for your drugstore favorite moisturizers. Thankyou for this wonderful post. It’s really helpful!! Never leave the house without sunscreen too! Glad to know I was following the regime, the right way. Sounds amazing. I was looking for a low price sunscreen from so long. Here it is. Can’t wait to try this. Neutrogena products are so cool. Yay! Seriously perfect timing, let me know how you like this babe! Your skin will be so happy! Thank you for the tips Sona! ? Because I used to do this and it always slides off ?. I’m going to follow the steps and hopefully it will stay in place now ?! Love the advice you shared for applying sunscreen, especially about the right quantity, which is really important!! I don’t think people are aware that not only they should be wearing at least 30 SPF and the correct quantity for it. But there’s the struggle for finding a non-greasy formula for oilier or combined types of skin, but in Europe we have many options, from La Roche Posay, Bioderma, Avene etc. Right on time!! !I was thinking what to buy..sunscreen or compact foundation with spf30 from Shiseido..now I know what to do though the Shiseido one looks good on the face, it covers ok..Lot of sun here in Greece!!!!! Great tips !! Thank you Sona ?? This came right on time , i was looking for a good sunscreen products and the right way on how to use it ! Thank you again SONA you are the best ??? I was so distracted when I started reading this post,,,,because of your GORGEOUS makeup. Please share! Can you use the sunscreen as a primer or do still have to wear a primer? Can you do a tutorial using sunscreen in your makeup routine? Of course I do babe, I love giving you guys some of my favorite tips and tricks. Love ya! Great Tips! I actually needed this information as I wasn’t quite sure how to use sun cream and them makeup. I love sunscreen! I wear it every day. I’m very fair so it’s a necessity. I used to use a physical sunscreen from skinceuticals but I’ve been using supergoop for years and I really love how sheer the texture is. I’m so happy for this post! I’m always trying to convince those around me that they should wear sunscreen. Thanks Sona! You and this blog has been go to proof to make my mom, sister, bff, and everyone ekse to wear sunscreen no matter what the weather and the change to their skin has been so rewarding ❤❤❤❤??? Sunscreen is a most, even if I decide to not wear makeup and I will definitely apply sunscreen. I was always told that the best way to protect your face is by using sunscreen even if the sun is not out/on cloudy days. Hi Sona! Yes, always sunscreen! I still also use a primer after the sunscreen before my foundation…is that too much, or OK?? Thanks for this useful tips. You are an amazing and special woman. What eyeshadow did you use here? Looks amazing! sunscreen with makeup would be the ultimate choice for you which is used as an easy way. Good article. Thanks.